Innovative, smart, passionate creative execution. Our clients appreciate that we consistently strive to exceed expectations. Consumers have many choices when it comes to buying and servicing their new or used cars. 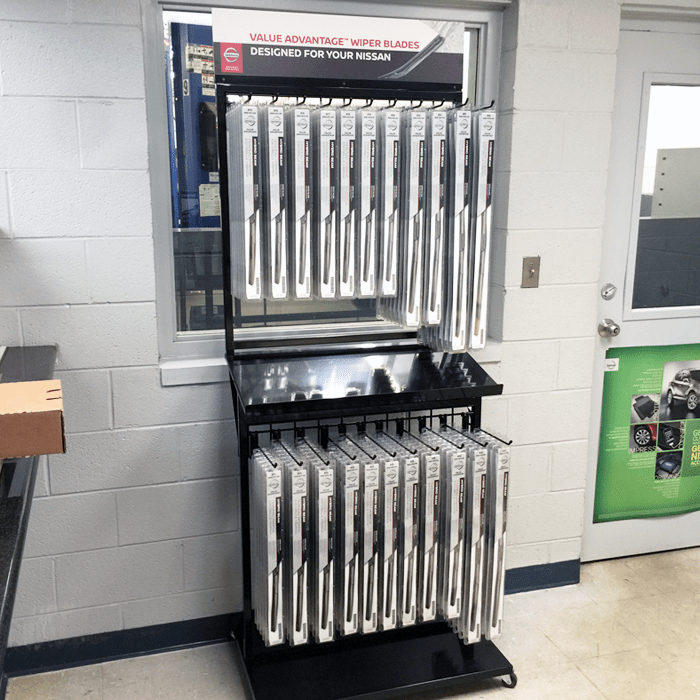 Whether it's a flashy new car accessory or a set of replacement tires for your used car, auto dealers and auto service centers have looked to Retail First to help them cut through the information clutter by designing and producing clear, concise merchandising through effective signing and display fixtures. 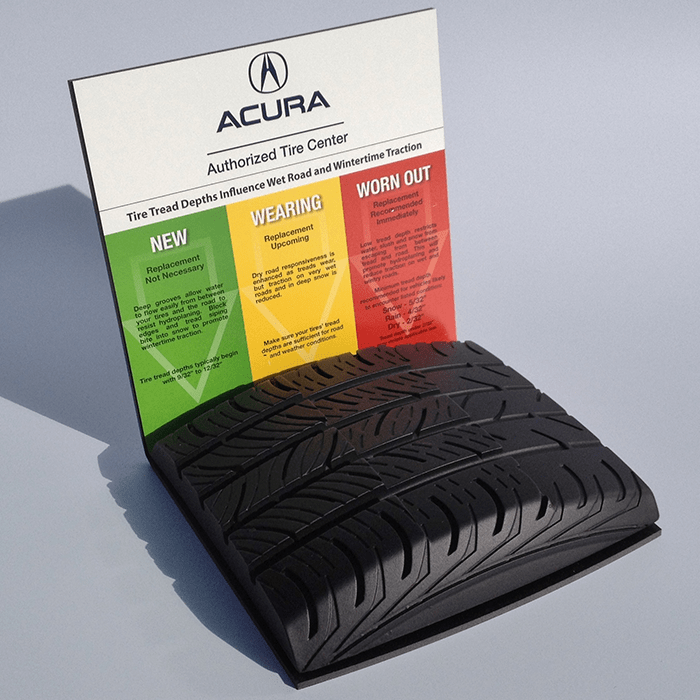 To design an attention-getting display that clearly conveys that Honda dealers carry replacement tires for all Honda models. 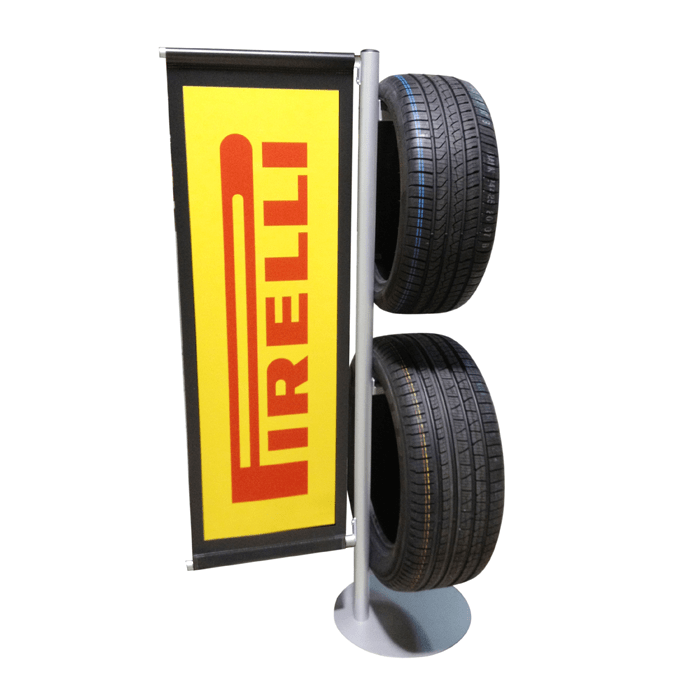 Retail First designed both floor and wall mount display versions offering dealers the most flexibility in creating tire awareness service areas. This display included heavy duty casters which helps the display roll easily into a variety of locations indoor and out. Retail First also designed a wall version of this display. Perfect for all tight service areas. 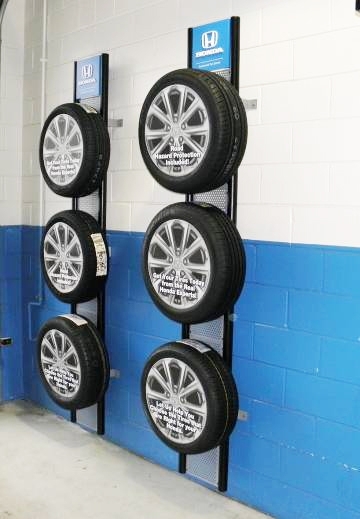 Multiple units on the wall create a “Tire Center” impact statement. This program was drop shipped to over 500 dealer locations.